and training in paleoanthropology and primatology. Franklin Mosher Baldwin Memorial Fellowships are intended for scholars and students with citizenship in a developing country who wish to obtain education or training from an institution outside of the student’s home country. This award is for a program of approved, advanced special training or studies leading towards an MA or PhD. It is limited to two years of support. The maximum award is limited to $15,000 per year. The Baldwin Fellowship program is based on a realistic assessment of needs and priorities. 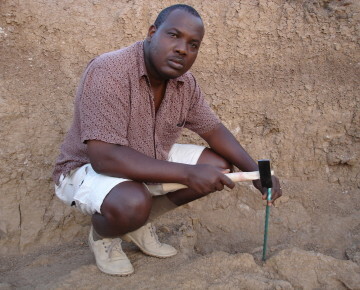 Many countries possess extraordinary resources in the field of prehistory but lack educational opportunities in the field of human origins research. By enabling bright young scholars to obtain graduate education, The Leakey Foundation is helping to equip these individuals to assume a leadership role in the future of paleoanthropology and primatology. The Baldwin Fellowships were the brainchild of former Board President Dr. Edwin Munger and Elisabeth G. O’Connor, the widow of Franklin Mosher Baldwin. Baldwin was a distinguished attorney who took a lively interest in the search for human origins. Hoping to honor her late husband’s dual interests in early humans and education, O’Connor embraced the idea of a program to educate African scholars in prehistory and paleoanthropology. The first Baldwin Fellowships were awarded in 1978. Today the Fellowship has been expanded to include studies in primatology and is available to citizens from any country that does not have the programs or facilities available to fulfill the students’ human origins research goals. 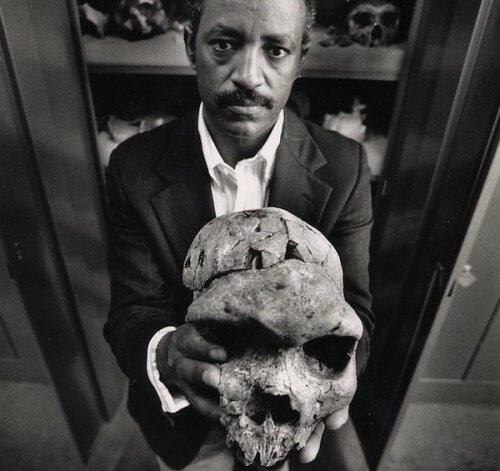 Ethiopian paleontologist and former Baldwin Fellow, Berhane Asfaw. Am I enrolled in a MA, MS, PhD or equivalent program related to the study of human origins or evolution? Have I been accepted or have a provisional acceptance to a host institution? Do I have financial assistance from the host institution? Do I intend to return and work in my home country upon completion of training? If your answer is “Yes” to all of the above questions, you are likely eligible to receive a Baldwin Fellowship.